As soon as Alexandria Ocasio-Cortez won her primary campaign against a major House Democrat back in June, people started asking her about her favorite red lipstick. And they haven’t really stopped. An apparent skin-care nerd and beauty junkie, Ocasio-Cortez seems happy to answer makeup questions when she’s not grilling Michael Cohen or proposing the Green New Deal. On Twitter, she told fans that the red she’s often seen wearing is Stila Cosmetics’ Stay All Day Liquid Lipstick in Beso. Below, the Cut takes it for a test run. I didn’t have the highest hopes for Alexandria Ocasio-Cortez’s beloved lipstick — not because I don’t trust her judgement, because I do, but because she could make even the stickiest, most shimmery lip gloss look good. Also, doe-foot applicators are not my friend. But this lipstick, which I tried in Beso, really surprised me. The color reminded me of my current go-to red, Fenty’s Stunna Lip Paint in Uncensored, but better for long-term wear: It didn’t dry out my lips, it stayed in place throughout dinner, and not once did I have to fix a smudge, even stayed on after I spilled tequila shot down my chin at someone’s birthday party afterward. The only time I found myself frustrated was when I struggled to get it off with my go-to (admittedly cheap) makeup remover. But perhaps that had more to do with that tequila shot. 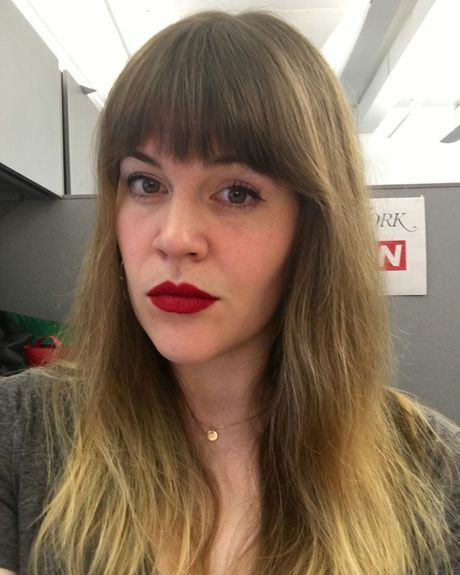 I’ve worn this Stila lipstick in Beso three times already in the week I’ve had it. It goes on very bright and very wet, which made my lips feel like a beautiful painting, but one that’s kind of abstract, because I have shaky hands and kept smudging all the edges initially. After several messy, uneven attempts, I discovered that the best way to apply it was to quickly and confidently swipe it across your bottom lip, rub your lips together, and then carefully fill in your cupid’s bow with the tip of the applicator. When I first put it on, I was alarmed by how liquidy it was, but it dried quickly. Also, it smelled kind of like chocolate. Once it was dry, I could barely feel it on my lips at all, and it stayed on all day without fading. I feel like you could make out with someone while wearing this and your faces wouldn’t end up looking like a crime scene. 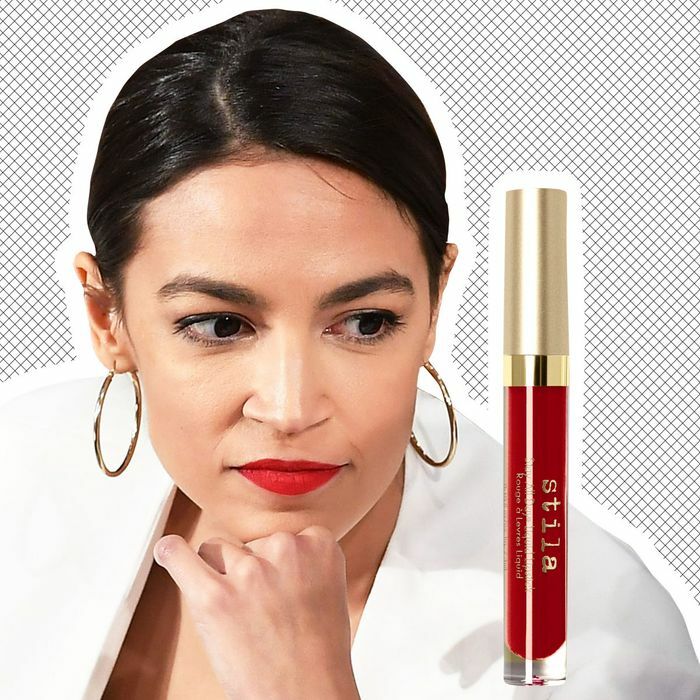 I love a cherry red lipstick, so I was excited for “Beso,” the exact color AOC wears. When applying, you need to be super careful— this formula is essentially like paint, so there’s little room for error. This selfie was taken after seven hours of wearing the lipstick. It didn’t smudge when I drank coffee that morning, though it did come off a bit on the cup. Throughout the day, I applied a touch-up in the middle of my lip and smoothed Burts Bees chapstick over it. I kept worrying that it would wear over time, leaving a ring around my lips. But that never happened, and the outline never bled. Although it doesn’t feel drying, I wouldn’t recommend wearing this with chapped lips as it’s not moisturizing. 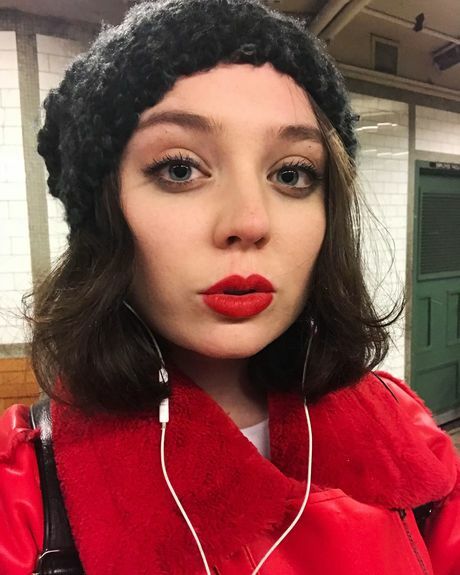 It’s a more dramatic red lip than I’m used to, but I’ve been wearing it every day since! 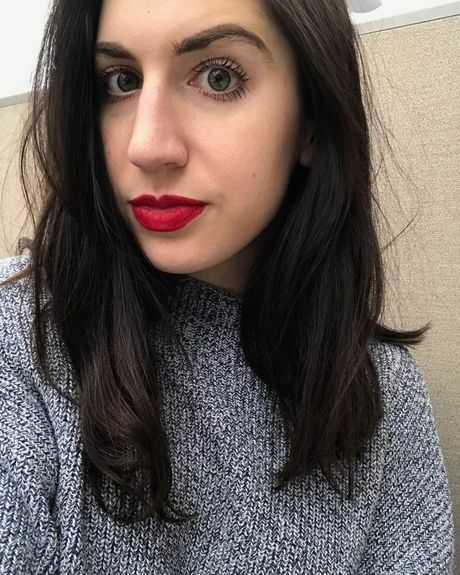 I used to be a bold lip person, and specifically a red lip person, but these days I would describe my overall makeup routine as very, very lazy. I wear it for work occasions, and though I still like strong colors, I have largely retired the red. 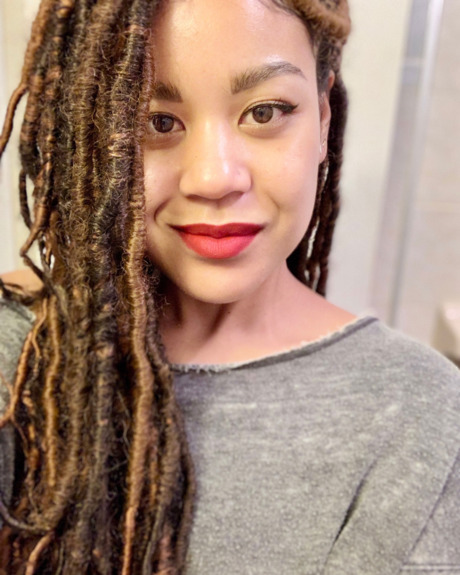 Applying this lipstick felt like resurfacing a facade with stucco — it was thick, matte, and quick-drying. I found that it dries instantly and is aggressively binding on the lips. On a second try, I exfoliated and moisturized my lips (slightly less lazy) but found the same effect. The formula’s uncompromising nature requires a steady hand or a lip liner, neither of which I possess. I wore the lipstick while watching the Oscars, during which I ate tamales and sushi. The lipstick came off in small chunks, leaving only a thick outline. Color-wise, I do think it’s time to bring back the red, but probably not this one. I’m pretty sure Stila Stay All Day was my first introduction to liquid lipstick, several years ago. It was an excellent place to start. The formula feels really soft and creamy when you first apply it, but it’s very clingy — you have a few seconds to smooth it around, and then it sets and sticks to your lips. I once applied it and proceeded to eat very messy and melty matcha soft-serve as a test for a story and the color emerged unfazed. It was slightly alarming. This time around, what stood out to me the most was how non-heavy, non-sticky, and non-flaky the formula felt throughout the day. 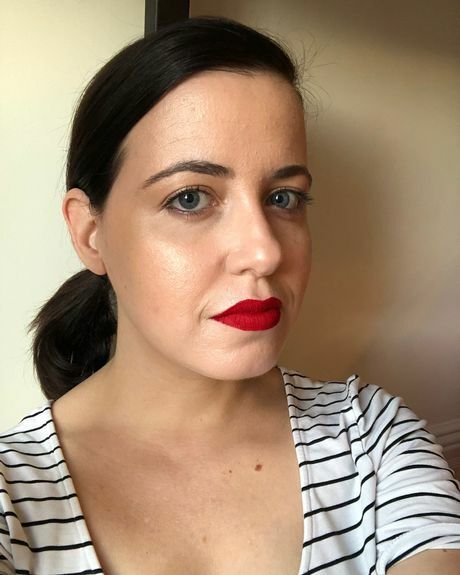 I kept forgetting I was wearing an extremely bold lip until I’d walk past bathroom mirrors, which was equally as alarming as the whole staying power thing. I’m currently out of my matte lip phase but I must admit, I didn’t completely hate wearing this again — it’s very good at its job!